The last few weeks have been a pretty quiet for me on-line with little activity in either the twitterverse or blogosphere. The flip-side of this is that I have been very busy in a number of other areas, both professional and personal (rumours that my low-profile coincides precisely with the current Ashes series are of course greatly exaggerated). While my “free” time seems unlikely to increase dramatically in the near future, it is my hope that I will be able to return to penning a few blog articles. Speaking of which, that is precisely what I am about to turn my attention to now. I am not 100% sure how this photo managed to creep into the post. Maybe we could have a couple of pics of the English captain seeking to be dishonest at best or cheat at worst with his various acts of very very poor sportsmanship….. 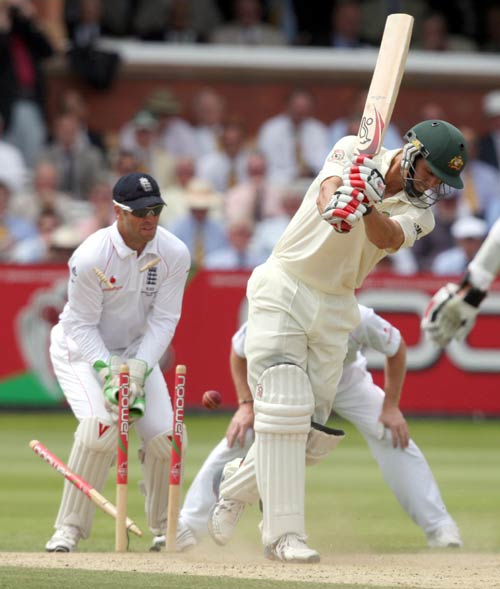 I think I’d prefer one of Ricky Ponting being dignified, gracious and even humorous in accepting that he had been defeated by the better team over five days – an example his fellow countrymen would do well to follow. And they call us whinging Poms – sheesh!